Once upon a time, not that long ago, going vegan meant giving up all the creamy, funky, crumbly, and salty glories of cheese. Options were limited and most of the products on the market were strange and plasticky facsimiles of the real deal. But that terrible era has come to an end and the world is abound with vegan cheese options. There are so many varieties that Brooklyn, New York, even has its own totally vegan cheese shop. 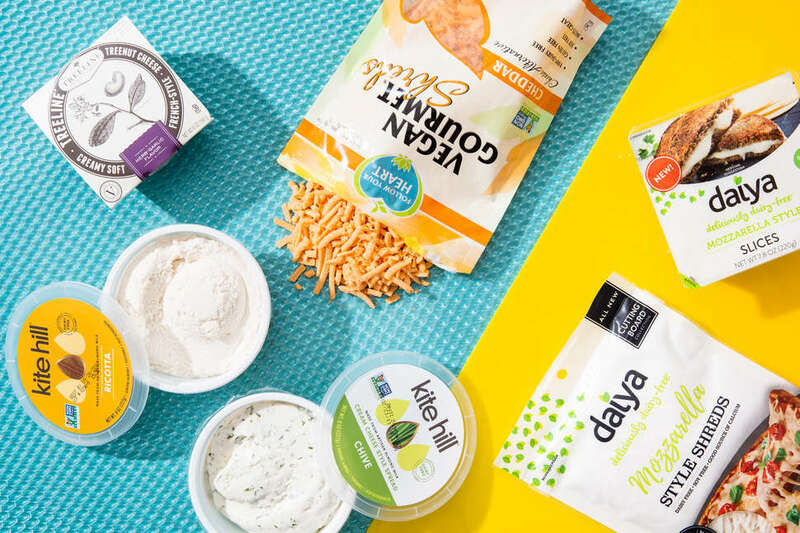 Some of these new dairy-free cheeses are made with soy, while others are crafted from nuts like almonds and cashews, and others from vegetable oils. Many even contain bacterial cultures and are aged to add more of the delicious qualities we’ve come to know and love in standard cheeses. We ate through numerous options to find the six vegan cheeses that are worthy of precious space in your fridge's cheese drawer. 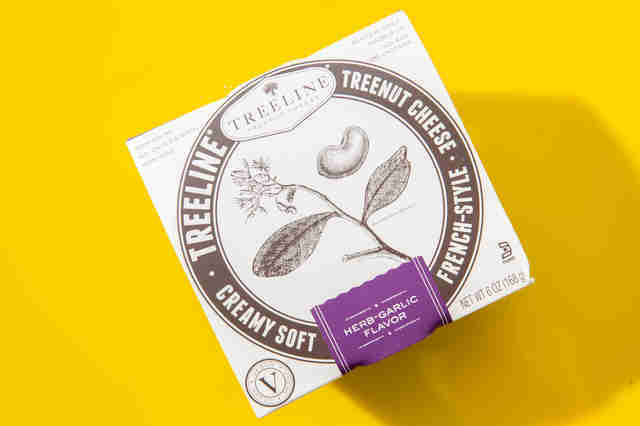 Sometimes you just need some fancy cheese to snack on, and if you're looking for a dairy-free option, this cheese from Treeline is a good bet. It’s soft, creamy, and the herb-garlic is just enough flavor to satisfy without being pungent or ruining your breath. The main ingredient here is cashew, which results in a smooth and buttery texture and slightly nutty flavor. Pair it with some fig jam, artisanal crackers, and a glass of (vegan) wine for a luxurious night in. 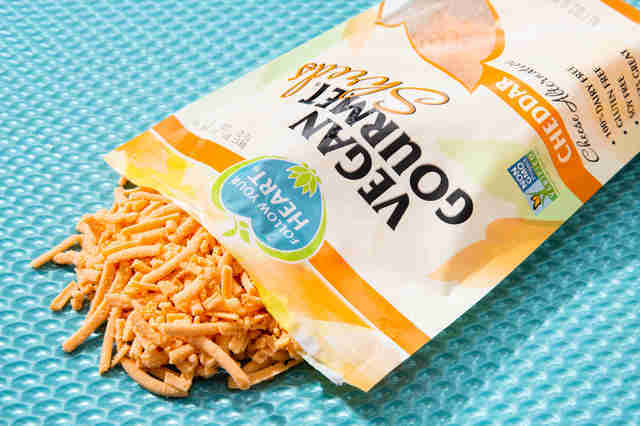 Those looking for a substitute cheese that would fool even the biggest of dairy heads, make sure to keep your fridge stocked with these Cheddar shreds. The crumbly orange cheese is reminiscent of gooey Kraft when melted, making it the perfect choice for when an urgent 3am nacho craving strikes. Need something tasty to smother between lasagna layers? Spoon on a dessert? Dip cracker after cracker into to pass the time? This is it. 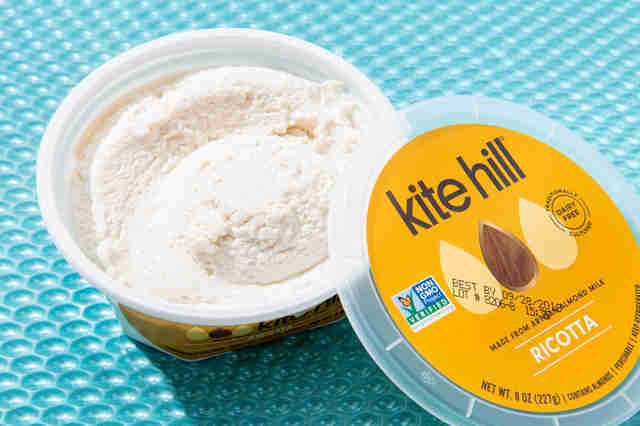 A well-known vegan brand, Kite Hill also makes products like dairy-free yogurts. The almond milk-made ricotta rendition, however, is an essential vegan cheese. The texture is light and fluffy, although it’s a bit drier than regular ricotta. Bottom line, the sweet and subtle flavor makes it a crowd pleaser, and it's incredibly versatile. Going dairy-free doesn't mean you should have to give up perfectly toasted bagels loaded with cream cheese. 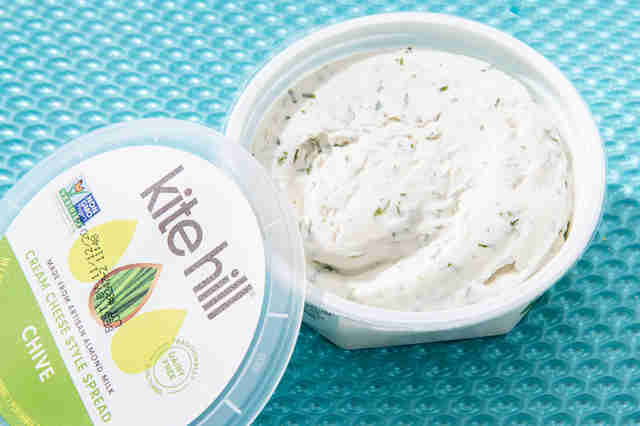 This version from Kite Hill is spreadable, silky, and tangy. The airy base is everything you want in a cream cheese, and chives help cover up any almond-milk flavor that might linger in the product. If you are inviting people over for brunch, we recommend buying a couple more tubs than you think you might need. 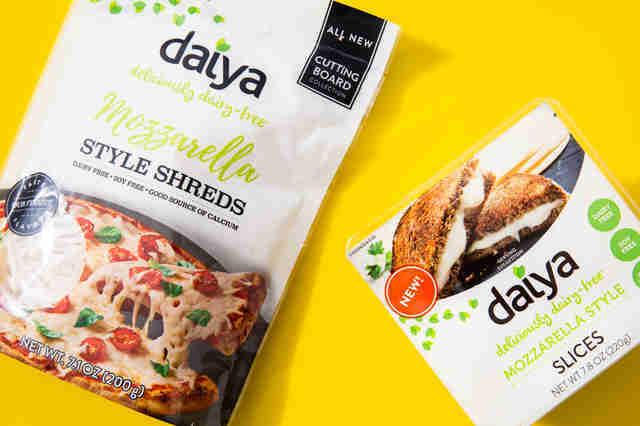 Daiya is arguably the most famous vegan cheese brand on the list. A mainstay that’s been around about a decade, you've probably tasted it if you've ever ordered a pizza from a vegan cafe. The shredded and sliced varieties alike are yummy in their own rights (let them be themselves, OK?) and have gotten down the science of properly melting as accurately as they can. These slices are great in sandwiches in particular -- but be warned, if you are looking for an exact replica of mozzarella, you will be disappointed. It's no secret that Trader Joe's has a stellar cheese section -- and that includes cheese of the dairy-free variety. Our favorite is the vegan mozzarella shreds which take on a liquified texture when melted. Because it is shredded, it makes it the perfect cheese for melting on basically every single one of your favorite Italian dishes like pasta and eggplant parm. It's especially good on a vegan pizza (perhaps on a cauliflower crust?). Alex Erdekian is a cheese-loving, lactose intolerant editorial assistant at Thrillist.